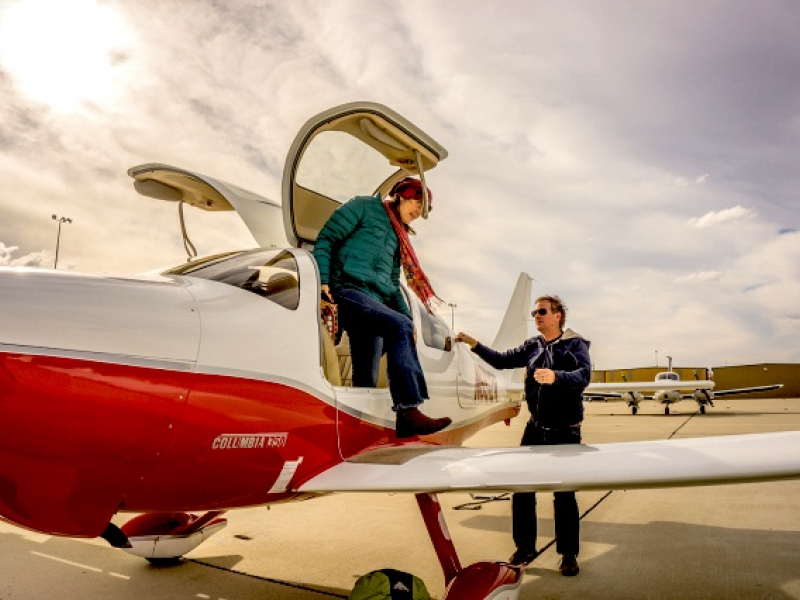 Angel Flight West had a record year! After a record year that included Angel Flight West serving more patients in need of access to healthcare than ever in our 35-year history, I hope you can hear the collective roar of “Chive On!” from our tens of thousands volunteers, patients, followers, and supporters. We are so pleased to share with you the incredible impact your gift made in the lives of patients like Alanna, below. 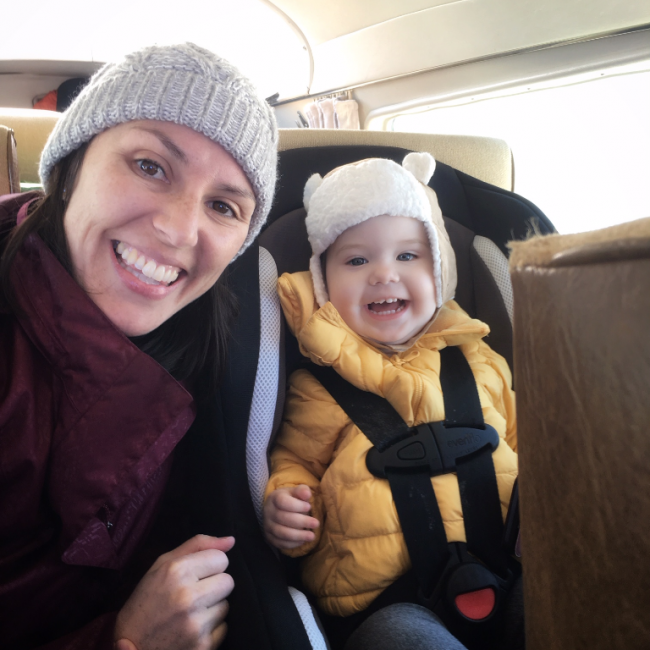 The $25,000 grant was awarded in February 2018, with funds are to be used primarily to arrange flights for veterans, military personnel, and individuals with rare diseases. It costs AFW approximately $50 in staffing costs and communications to coordinate each flight, so the grant will underwrite 500 missions! To continue to grow our volunteer roster, we exhibited at numerous aviation events throughout our service territory. We also took part in national and regional events including the Meridian, Malibu & Mirage aircraft owners gathering in Colorado Springs, the Cirrus Owners & Pilots Association Migration 18 in Las Vegas, and the National Business Aviation Association conference in Orlando, as well as Aircraft Owners & Pilots Association fly-ins in Missoula and Santa Fe. AFW exhibited at rural health conferences in Washington, Oregon, Utah, and Arizona, as well as the national American Case Management Association conference. Each of these events gives us an opportunity to speak with health care and social work professionals who serve veterans and patients with rare diseases. And AFW is now listed in the resource directories of the Epilepsy Foundation, the Leukemia & Lymphedema Society, and Lazarex Cancer Foundation, for whom AFW will serve as a transpmtation resource for patients in clinical trials. Our colleagues at Angel Flight East staffed a booth at the National Organization of Rare Diseases conference in Washington, DC, and referred West Coast participants to AFW. Alex has a rare type of brain tumor. It has affected his vision and he can no longer drive. 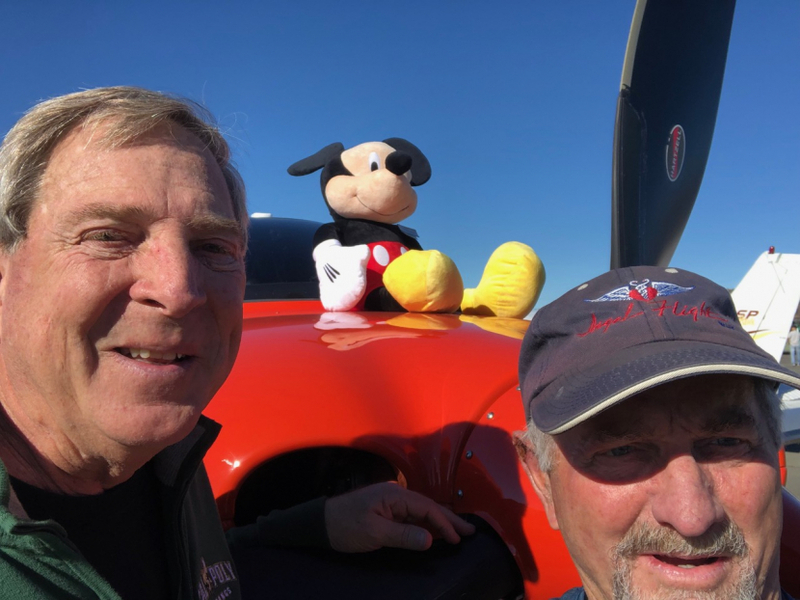 So when his doctor said he needed treatment at the Jules Stein Eye Institute, he didn't know how he'd get to Los Angeles from his home in Goleta -- until he found Angel Flight West. 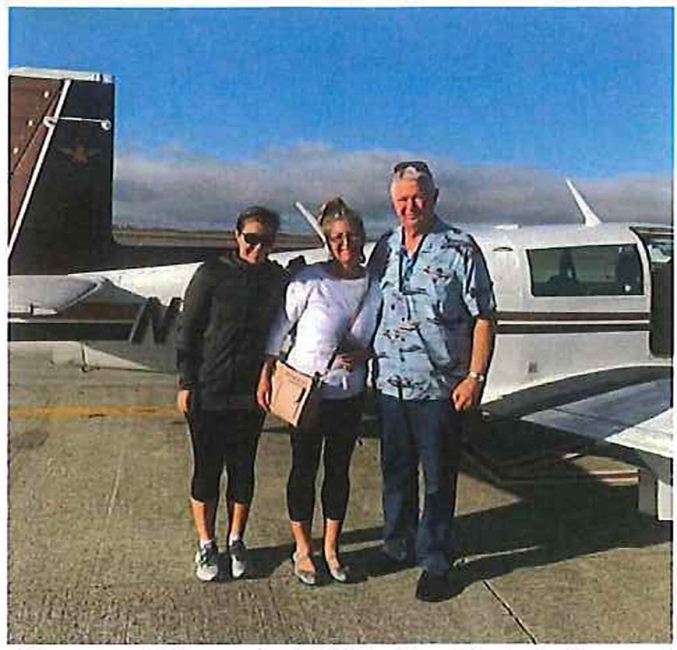 Our volunteer pilots have provided two round­trips so far, and two more are already scheduled. When he arrives at Santa Monica Airport, an AFW Earth Angel is there to drive him to and from his appointment. 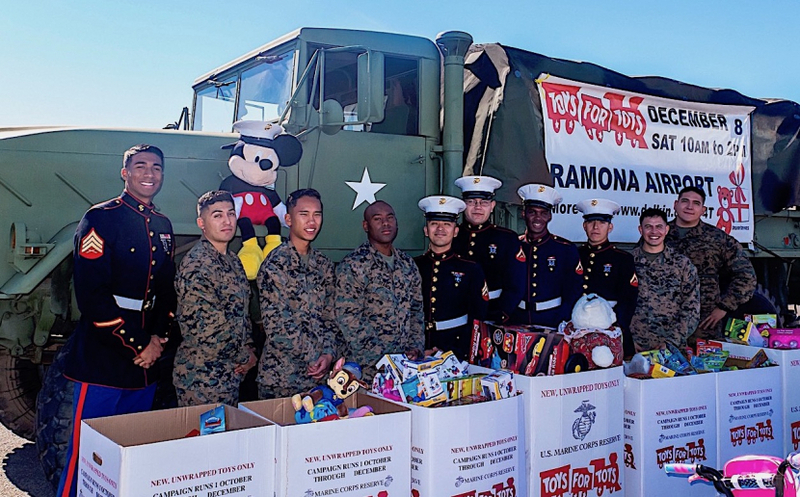 AFW volunteer pilot Tom Close and mission assistant Paul Singer teamed up with the U.S. Marine Corps and flew a Toys for Tots mission, the cargo hold filled with goodies for the children and Mickey Mouse guiding the flight from Carlsbad to Ramona. Angel Flight West also filled a very special request from the VFW. 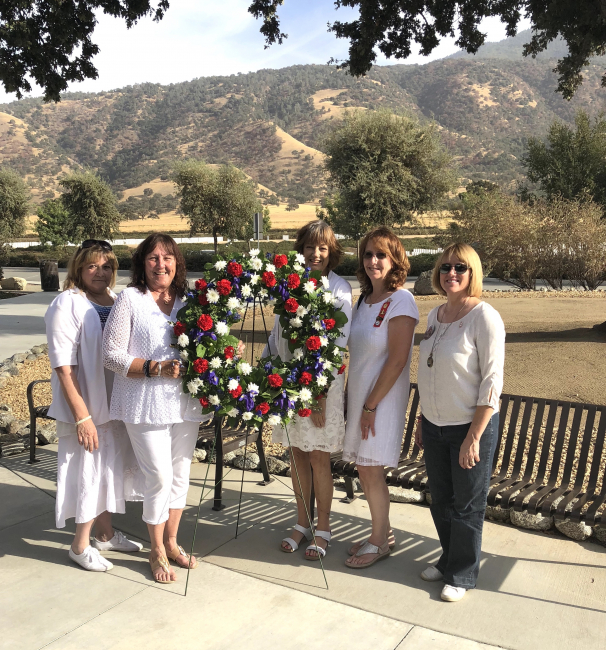 Our volunteer pilots flew this group of Gold Star Moms (above) from Sacramento to Bakersfield for a tree planting ceremony at the National Cemetery. In September, the Biden Cancer Initiative presented Angel Flight West with its FIERCE Award. We were one of 10 organizations and individuals honored at the inaugural event in Washington, DC --selected from more than 700 nominees -­for what we do to help cancer patients. We share this honor with Chive Charities because it's your support that makes what we do possible. 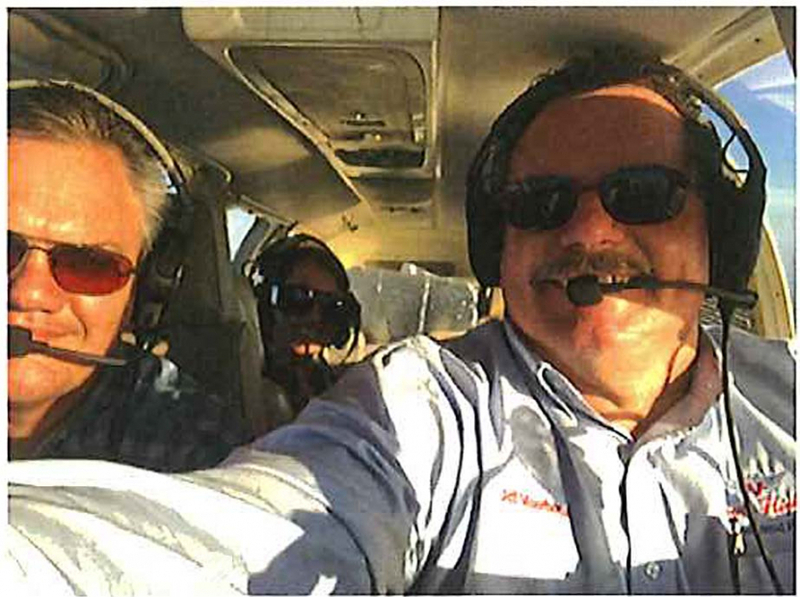 Just like the Chive started out with two brothers from Indiana wanting to make people laugh, AFW started out with humble beginnings of a few pilots wanting to use their private airplanes for good. While unlikely partners, I'm so pleased that we had the opportunity to work with you to expand our efforts to serve more people in need. Chive Charities' generosity is making such an incredible difference in so many lives. Thank you again so much and CHIVE ON! !